I am attending two conferences to better serve the disability community. 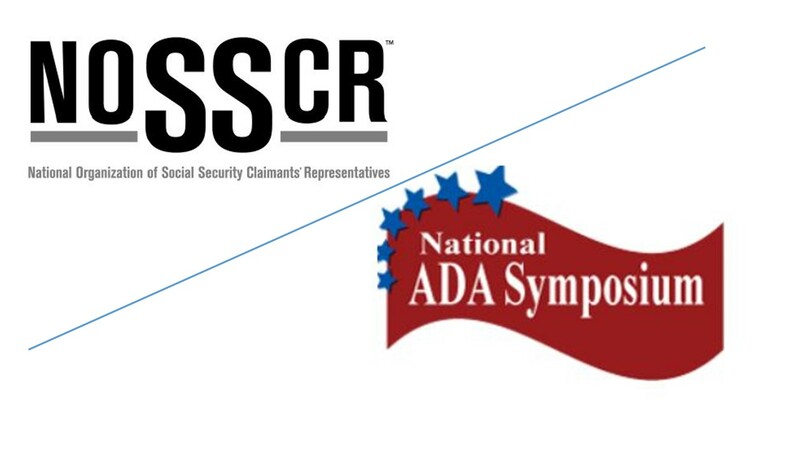 I just finished attending NOSSCR, a bi-annual conference on Social Security law, and am currently attending the National ADA Symposium. Interestingly, the definition of “disability” is harder to meet under Social Security than under the ADA. I realize that I haven’t posted in a while. I faced setbacks to officially launching my law practice, Disability Law Collective. In particular, I was figuring out office accessibility at my incubator program. There seems to be a fine line when advocating for yourself in an employment-esque context. I also had to think about my clients and future attorneys with disabilities in my program. Anyway, I will write an actual blog soon. If you want to see a blog on a particular topic, please comment below. This entry was posted in Being an attorney with a disability, disAbilities, GimpyLaw readers, Law Practice and tagged ADA, NOSSCR. Bookmark the permalink.